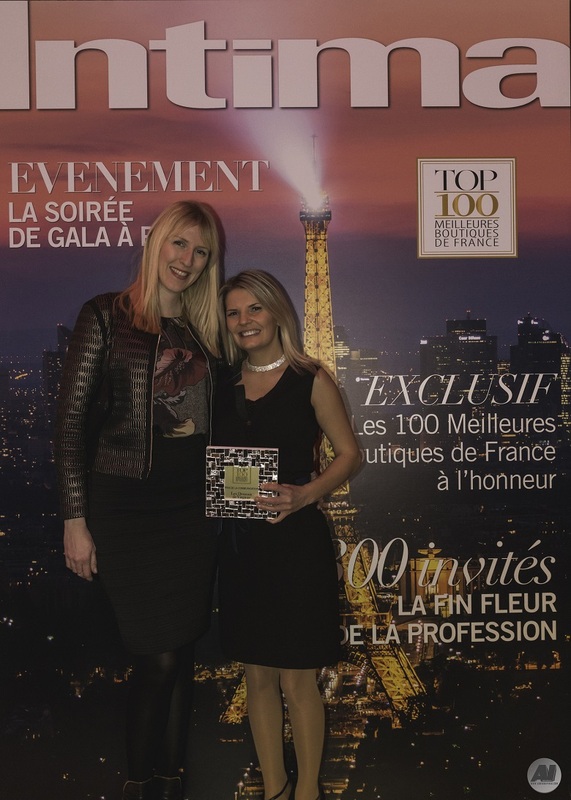 The winners of the Top 100 Best Shops in France competition were announced in a fabulous gala evening in the heart of Paris last January. 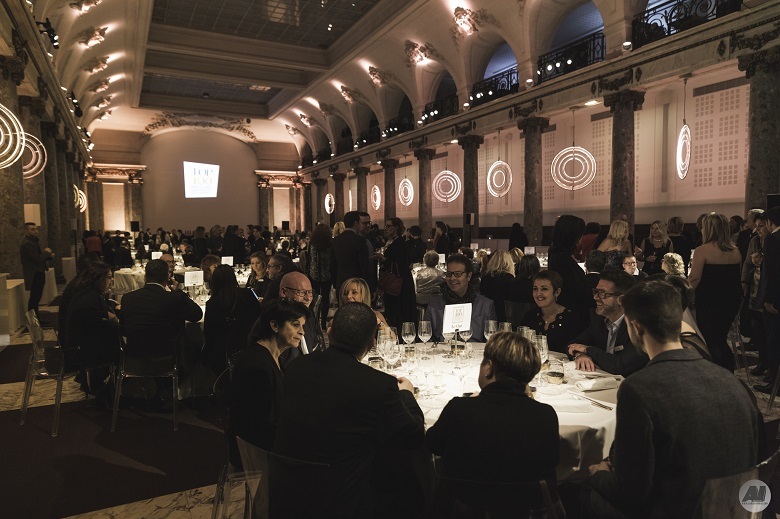 270 guests were welcomed into the beautiful Pavillon Cambon Capucines for the third edition of the competition, organised by Intima magazine and hosted by Charlie Clarck. 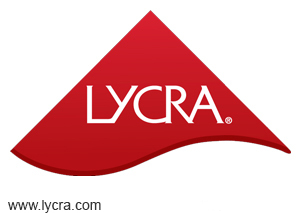 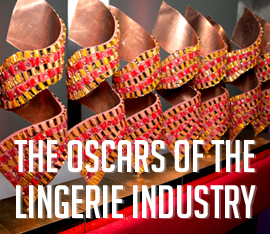 Once again the jury was made up of the main national and foreign brands in the industry, including the big names in the corsetry, nightwear and loungewear segments, with the new addition of swimwear brands. 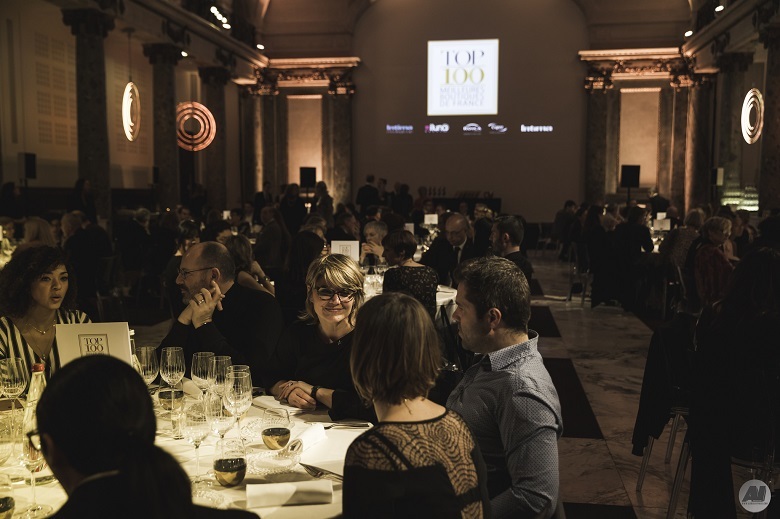 The jurors worked for six months to choose the 100 best shops among the 334 nominees, recognising exceptional performances in the industry. 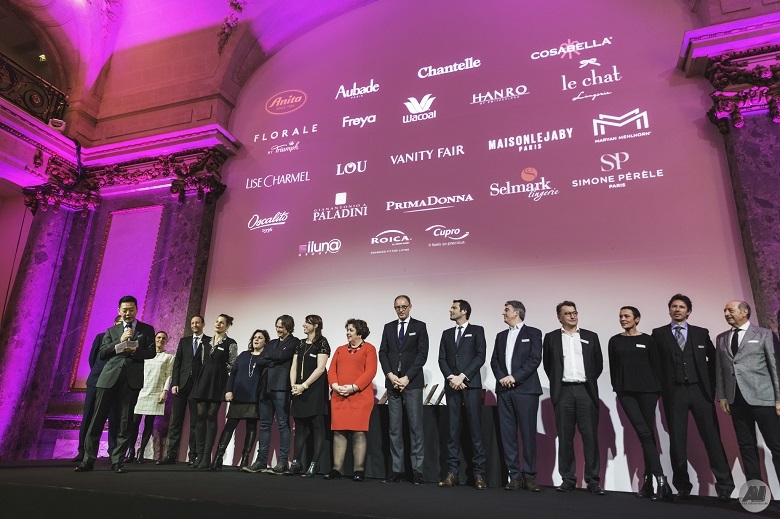 Five shops were awarded the coveted Prix d’Excellence: Lingerie Sipp in Logelbach, Le Boudoir in Strasbourg, and Lilou Lingerie in Cholet received the same number of votes, while Rêve Ligne in Rennes won the Special Lingerie Excellence Award, and Lyonnaise boutique Cupidon received the Seaside Special Excellence Award. 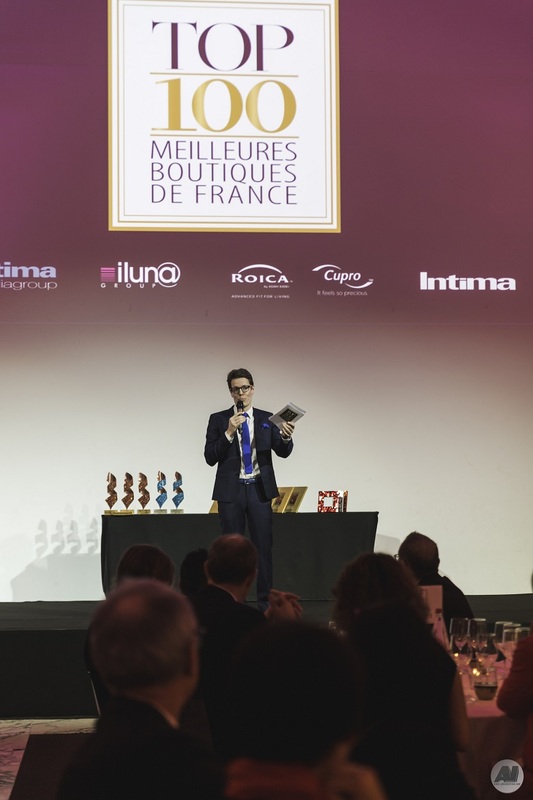 This year, 5 more boutiques attracted the attention of Intima’s editors with their particularly successful decorations and were each awarded with an Intima’s Coup de Coeur Award – È Così in Compiègne, Opium in Montbrison, Fleur d’Eden in Saint-Malo, Glamour Lingerie in Paris, as well as Milles et Une Excuse in Reims. 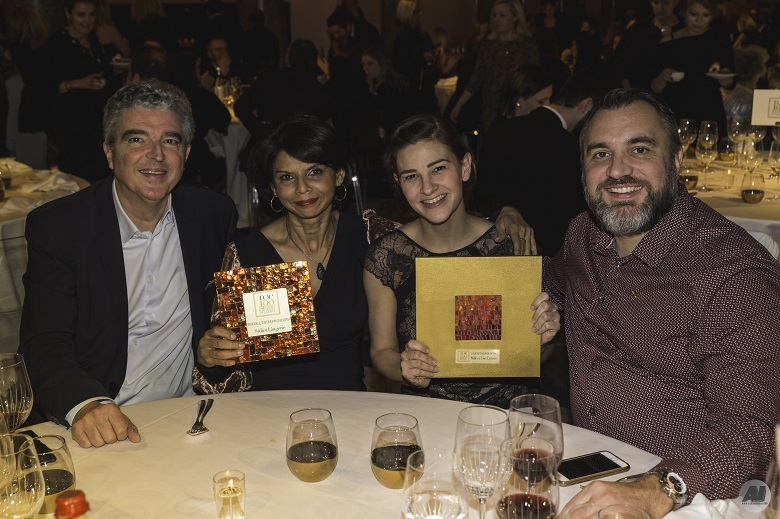 The Communication Award was attributed to the store which knew how to make the most of its presence in the TOP 100, Les Dessous de Virginie, in Douai, and the Entrepreneurial Award was attributed to Mrs. Julie Sidiot, owner of three shops in her name on the Reunion Island.